Simtek UK are proud to have worked closely with the teams and vehicle manufacturers below in developing reliable electrical systems built to last. The Ginetta F400 a sleek seductive british supercar, 0-60mph in 3.7 sec (Est.) and a maximum speed of 185+ mph (Est.) with handling to match. 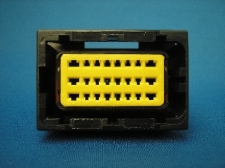 Simtek UK are proud to support, develop and manufacture wiring systems for the F400 Ginetta Supercars. The Milner R5 Pro Truck boasts a Lexus V8 engine. We are proud to have worked along side Milner 4x4 to produce a comprehensive wiring system capable over the toughest terrain whilst delivering the highest performance. Ginetta Cars continue producing innovative, capable and above all, great value sports cars. Simtek UK are proud to be involved in the development of Ginetta's wiring systems. The QT Services Wildcat has proven time and time again that it is world class. These vehicles are built to last and to win. They feature strongly in Dakar and other Baja events. We are very proud to have been closely involved with the Wildcat in the development and production of the electrical systems on these vehicles for the past 9 years. For over 30 years Geoff Steel, as Geoff Steel Racing and G.G. Steel, have built, prepared and provided trackside support for many race, track and rally cars. Over the last twenty years they have concentrated on BMW M3 development, with many successful seasons in various competitive race series. 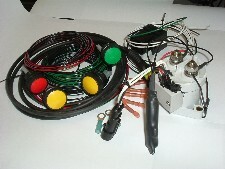 Simtek are proud to continue supporting Geoff Steel Racing with the development of race winning wiring systems. Simtek UK have designed, developed and constructed the wiring system for the sensational BAC Mono, a lightweight, ultra high performance, single seater road legal sports vehicle designed and manufactured using the latest racing technology. Power Torque Engineering are suppliers of engine, drive train and component solutions for a wide range of applications including sports cars, construction equipment and agricultural equipment. 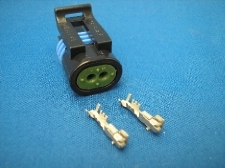 Simtek UK are responsible for the construction of electrical harnesses to Powertorque's specifications. SDR Sportscars are further developing there innovative V Storm 3 seater sports car, with the option of Aprilia V Twin or Subaru turbocharged engines this really is one to watch. 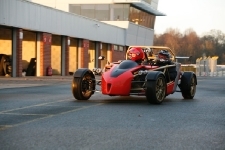 Simtek UK have advised and developed the electrical system for the Subaru powered V Storm. Cars built and maintained by JCRacing can be seen most weekends racing in the EERC Britcar/Production S1 Championships, achieving numerous class wins. Simtek UK have designed developed and constructed electrical systems to the highest standard for JC Racing. Juno Racing- Their race-winning chassis has been designed using state of the art CAD techniques combined with considerable on-track experience. 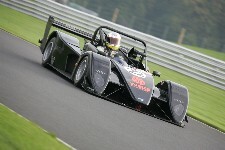 Their cars compete strongly in a variety of sports including Britsports, VdeV and Sports 2000. Simtek (UK) are proud to have worked with Juno Racing in the development of the electrical wiring for these very successful racing cars. 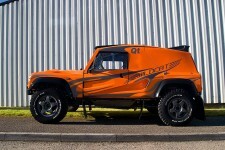 Bowler Offroad are further developing the Nemesis, a highly developed off road racer with championship winning technology designed to cope with the harshest events the World Off Road Rally circuit can provide. Rally Raid UK's "Desert Warrior" vehicles compete in the Dakar and other Baja championships. The vehicles use Rally Raid UK''s technology to use BMW''s diagnostic system anywhere in the world through mobile phone technology. Simtek UK were proud to be heavily involved with the design and build of the Dessert Warrior''s electrical systems, providing a reliable platform which Rally Raid could adapt to their internal design department''s new technological deveolpments. The Tomcat is a staple vehicle in any comp safari race fitted with a range of engines from 200tdi to a 5.7ltr V8 monster, the Tomcats dominate many classes and even have their own championship. Although the Tomcats are available in self build form, Simtek UK have enjoyed designing, producing and fitting electrical systems for the factory built vehicles to complete a high quality finish.